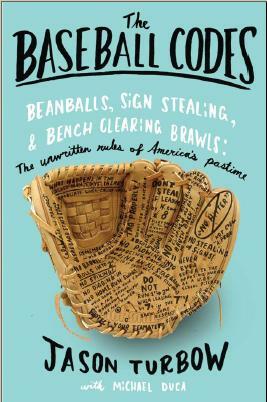 With all the hoopla surrounding opening day, it seems improbable that the clubhouse leader for most prominent early-season unwritten rules story is coming not from a baseball diamond, but out of the NBA. It pertains to what should be done with the ball with time running out while holding a big lead. On Sunday, Golden State’s JaVale McGee launched a 3-pointer in the final seconds of a game in which his team led Washington 137-115. The guy guarding him, Brandon Jennings, was so upset that he earned a flagrant foul for shoving McGee to the ground before the player landed. The Warriors’ response: there were 4.8 seconds left on the shot clock, but 6.9 seconds left on the game clock. “What’s JaVale supposed to do? Let the clock run out and get a turnover?” wondered Klay Thompson. “It’s basketball.” At the very least, the shot for which McGee opted was decidedly low-percentage. Yesterday the Pacers did the same thing, only with no shot-clock differential. With 10 seconds remaining against Toronto and holding a 15-point lead, Lance Stephenson jogged down the court and made an uncontested layup. The difference between this and McGee’s shot: there would have been no statistical repercussions had Stephenson chosen to hold on to it. Once time expired, various Raptors had to be restrained from going after Stephenson. The distinction between the two plays—an expiring shot clock—was clear. It’s a direct-line explanation that directly impacts a team’s stat line. In baseball blowouts, teams don’t stop trying to score, they just stop trying to score aggressively. Runners advance only one base on a single, two on a double, etc. Things like stolen bases and sacrifice bunts are curtailed. And though quibbles can be lodged over McGee’s choice of court spacing, even that is up for debate. Another thing Jennings said was, “Thank God he didn’t go to the rack. It probably would have been worse for him.” So who the hell knows? However one interprets them, these things do show us how universal these rules can be across sports. Both the Wizards and Raptors felt disrespected, and were reliant on a code—in whatever form that took or should have taken—to keep things in check. It all has a very familiar ring.